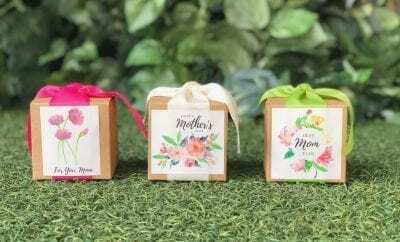 It’s that time of year again – time to celebrate Mom! We’ve put together a comprehensive list of 30+ of the best San Diego restaurants that will help you celebrate Mom this year. A few spots around San Diego are throwing special Mother’s Day events, and all are offering great food. If you haven’t planned ahead for the special day, there’s still time! Check out our list of Mother’s Day specials going on all over San Diego. Dine with a view on Mother’s Day at OB Surf Lodge. In honor of moms, the restaurant is offering one cent “mom-mosas” for all moms who dine during brunch. 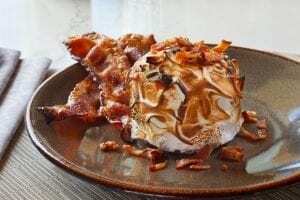 Some of their savory brunch menu items include a Breakfast Biscuit Sandwich served on one of their fluffy homemade biscuits, Crab Cake Benedict, Poblano Avocado Toast and Brie Stuffed French Toast. 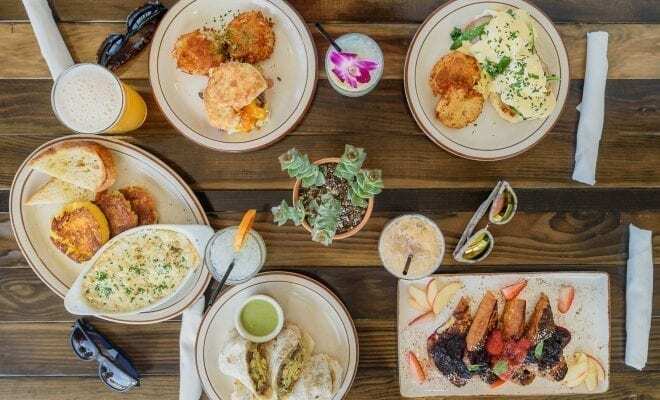 Exciting new brunch spot, The Rail is cooking up a one-of-a-kind Mother’s Day brunch experience in the heart of Hillcrest. 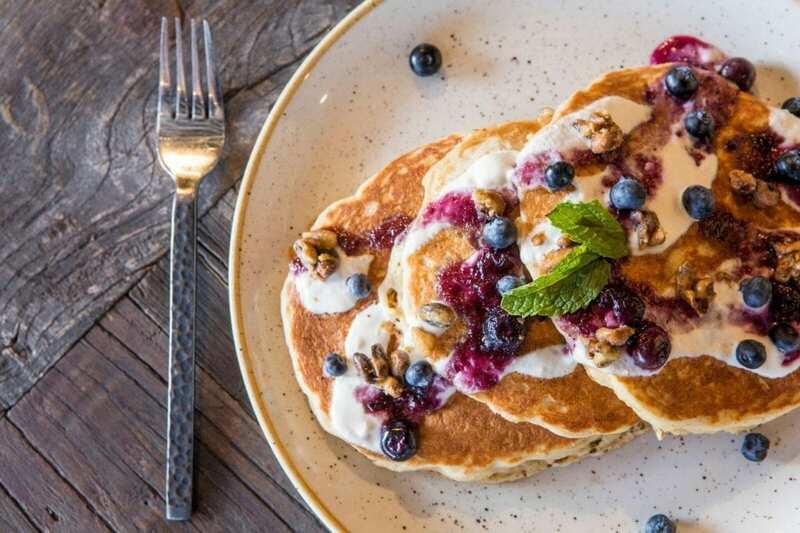 On Mother’s Day morning, thank your mom a brunch for all that she does with a selection of eggs benedict, breakfast flatbreads, waffle sandwiches, and more. Skip the mimosa – each mom will receive a complementary glass of champagne with their meal, and Chef John will be featuring a special $5 Berry French Toast for an addition to your family brunch to celebrate the most wonderful woman in your life! Celebrate Mom with a special Mother’s Day brunch at Locale, inside the Viejas Casino & Resort, beginning at 11 a.m. on Sunday, May 13. One of the best farm-to-table restaurants in the San Diego area is offering bottomless mimosas, food and drink specials, a live band and outdoor dining. Contemporary California Cuisine with focus on seasonal and regionally sourced ingredients, Chef Antonio Votta’s menus are both serious and imaginative, with familiar dishes re-imagined. The modern restaurant design features three distinct areas: an open kitchen concept that overlooks the main dining room, a lounge space with comfortable seating and a lively bar area, as well as an enclosed patio area that provides a bit more privacy and mountain views. Note: 21+ venue. On Mother’s Day guests and locals can enjoy these delicious brunch buffet dining options. AVANT will be hosting a brunch buffet menu with live music from 11 a.m. – 3 p.m. $75 for adults and $28 for kids. Veranda Fireside Lounge & Restaurant will also offer live music and a plus bottomless mimosas for $14 from 11 a.m. – 3 p.m. $72 for adults and $28 for kids. The Aragon Ballroom will be offering a family-friendly friendly brunch buffet with live music, a petting zoo and pony rides from 10 a.m. – 3 p.m. $85 for adults and $40 for kids. 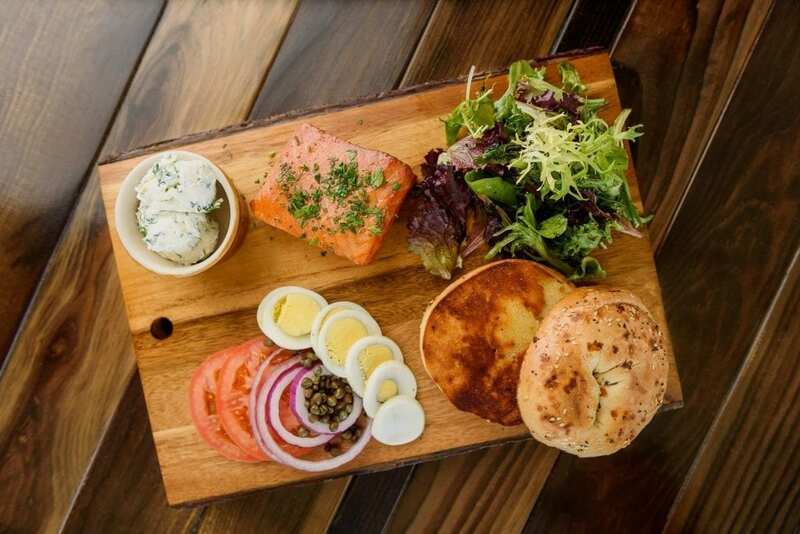 For the adventurous and eco-friendly moms, try Café 21 in the Gaslamp Quarter (location also in University Heights), whose full-service eatery and lounge uses only locally sourced and sustainable ingredients in their worldly dishes. 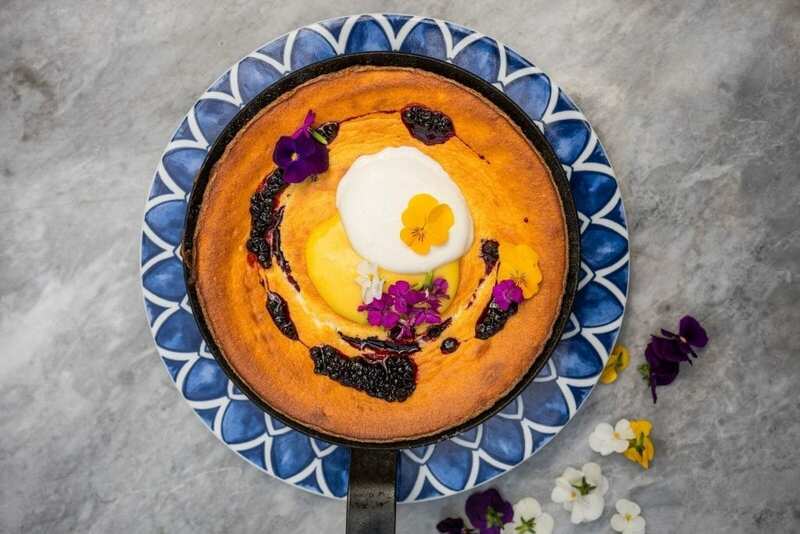 Open for both brunch and dinner on Mother’s Day, Café 21 prides itself upon serving up a California twist on delicious middle-eastern food, using only the freshest and most authentic ingredients. 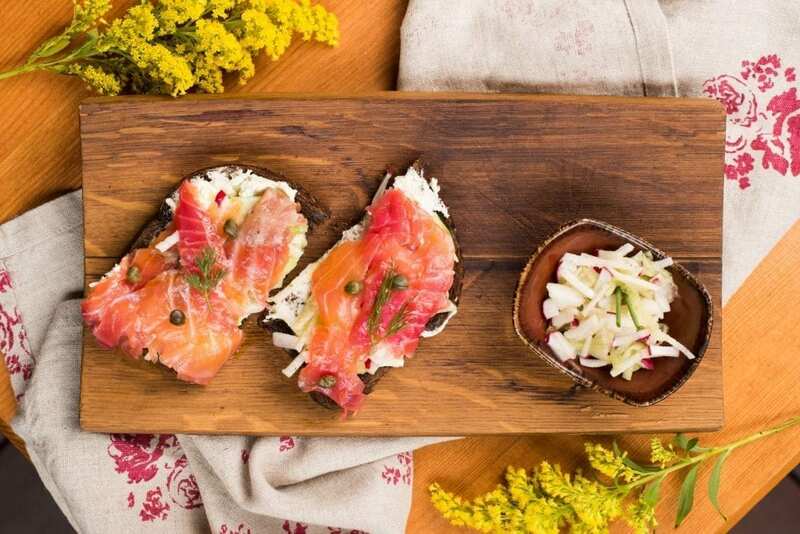 Herb & Wood in Little Italy recently launched brunch is the ultimate way to celebrate mom. Bask in the sunlight of Herb and Wood’s beautiful indoor/outdoor space on Sunday from 10:00 am to 2:30 pm while indulging in imaginative twists on brunch classics as well as unexpected items. The menu includes delectable dishes such as Dutch Baby Soufflé Pancakes, Jamón Ibérico Benedict, Scallop Ceviche, and Lobster Thermidor. 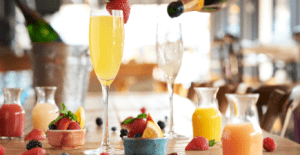 Backyard Kitchen & Tap in Pacific Beach is geared up for Mother’s Day festivities with an offering of $5 Mimosas in addition to a Complimentary Dessert for all moms, all of which are sure to pair flawlessly with their inherent coastal flair fit for any special occasion. 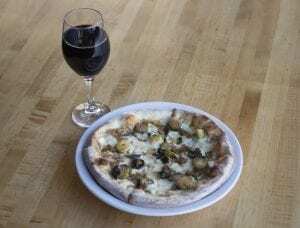 Show your mom how much you appreciate her this Mother’s Day by taking her to lunch at the quaint and delicious Kensington neighborhood pizzeria, The Haven. With appetizers, salads, pastas, sandwiches and the best Neapolitan-style pizzas in San Diego, you can’t go wrong! The Haven is also offering all moms $2 off beer, wine and mimosas throughout the day. They’re also running a special promotion where you’re invited to take a photo with your mom and tag ‘The Haven’ for a chance to win a $25 gift card. On Mother’s Day, all Macaroni Grill locations will be opening early at 9 a.m.; all weekend long, the Italian dining chain will be offering a special Mother’s Day brunch menu featuring Avocado Toast, Eggs Benedict, Sweet Berry French Toast, plus a Grande Bloody Mary of Honey Bunny beverage until 4 p.m. There will also be a prix fixe menu – one of four new entrées and a special sweet treat for $25 per person all day. All mothers who dine with Macaroni Grill will also receive a coupon for 25% off their next visit (purchase of $10 or more; valid from May 16 – June 15), plus all restaurants will feature a special Mothers’ Day backdrop for family photos. For those looking for a delicious gift for Mom, all electronic gift cards are 25% from May 7 – 13 using the promo code TREATMOM on macaronigrill.com. Herringbone La Jolla is featuring a special $45 prix fixe menu including dishes like the Chilaquiles andSmoked Salmon Benedict, courtesy of Executive Chef Jessie Glessner. In addition to the new brunch menu, on Sunday, May 13th, mothers, and all guests can enjoy a selection of specially made items including an heirloom tomato frittata, a pecan sticky bun with whipped rum frosting, and avocado toast topped with crab, trout roe, sunny-side-up egg and fennel. Also available are spring mimosas of three flavors: lavender, rose and cucumber honey. Every mom will receive a complimentary chocolate treat to enjoy. Madison on Park in University Heights has a diverse menu and cocktail list will have mom more than impressed this Mother’s Day. From Paleo Bowls for health conscious moms, to Banana Strawberry Nutella Waffles for those with a sweet tooth, Madison has a little something for everyone. If mom would prefer to sleep in on Sunday and celebrate a little early, Brunch is also served on Saturdays. Mom’s who are in the mood for some pampering will love Prep Kitchen’s Mother’s Day Brunch. Godiva Chocolate French Toast, Spicy Baked Crab with scrambled farm eggs and Masago caviar, Lobster Benedict, a tableside bloody mary cart, and goodie bags are just some of the treats that await mom at Prep Kitchen. Factor in Prep Kitchen’s noteworthy service and hospitality, and the meal is sure to be a special one. If your mom’s ideal day includes enjoying brunch by the beach, check out Miss B’s Coconut Club in Mission Beach from 9:00 am – 2:00 pm. 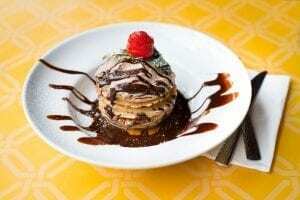 For $32.95, guests will have their choice of brunch entrée, such as the Coconut Rum French Toast consisting of kolache toast, Miss B’s house rum, cinnamon & sugar, toasted coconut, mango berry syrup and fresh berries. The Cuban-style beach bar also features a delicious Veggie Hash, Jerk Chicken & Waffle and Yogurt Parfait among other tasty plates. Cheers to Mother’s Day with two hours of bottomless champagne and Miss B’s House Blonde beer, as well as delicious pastries and a hosted Watermelon Mimosa for all the moms. For those looking to treat mom to an affordable home style meal on Mother’s Day, guests can purchase a whole rotisserie chicken for $2.99 with purchase of any family meal (valid May 1 – 31). 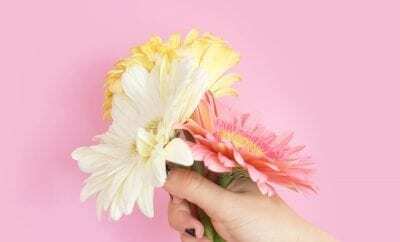 Boston Market is also hosting a Mom’s Month sweepstakes, giving away one prize per day in May – from Boston Market gift cards and Coca-Cola prize packages to a grand prize family vacation for four to Great Wolf Lodge (winner selected on Mother’s Day). Guests can enter once per day at here. 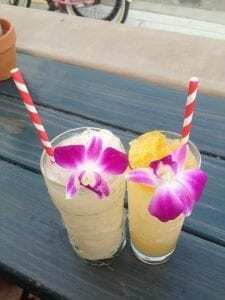 Oceanside’s tequila cocktail haven is serving up what that mom really wants this Mother’s Day – margaritas! 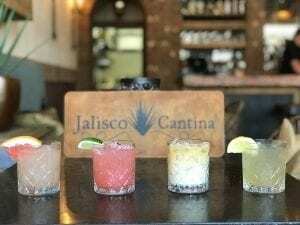 With an extensive selection of specialty margaritas including Pineapple Jalapeno, Mango Serrano, and Cilantro Smash, no flavor palate is left out when it comes to the drinks at this upscale Mexican eatery. Wash down your meal of scratch-made Mexican cuisine with an ice-cold drink, including a complementary house marg for moms! Treat mom to brunch at Pacific Beach AleHouse, and bask in stellar ocean views from their second-story patio as you share ½ off bottles of rosé while supplies last. Torrey Pines’ favorite hidden gem, Farmer and The Seahorse, will host their annual Mother’s Day brunch buffet, offerings options such as a carving station, salad bar, assorted pastries, and build your own omelet, waffle, and bagel stations. The family friendly brunch will also feature a photo-booth to take pictures with mom, and french macaroons as a goodie for all the moms. Adults are $64.95 and children under twelve are $24.95. Found in the heart of Carmel Valley, Dolce at The Highlands is home to an outstanding menu of farm-to-table seasonal California/Italian cuisine, complete with a relaxed and elegant dining room, a star-lit patio, and a world-class wine list of over 200 bottle selections. Open for lunch at 11:00 A.M. and serving their full menu along with several sweet brunch specials during the day and sophisticated entrée specials for Mother’s Daydinner, this sought-after destination for gathering large parties of family and friends is filling up fast. Reservations are highly recommended. Seeking a SoCal spot with prime oceanfront dining this Mother’s Day? 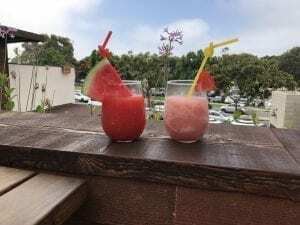 Waterbar in Pacific Beach features stunning views of the Pacific matched with a two-course prix-fixe brunch and complimentary mimosa for mom. First course options include decadent Sticky Buns, Corn Fritters, Grapefruit Brulee, Mixed Berry Yogurt and Avocado Toast, followed by a second course selection of Chilaquiles, Two Egg Breakfast, French Toast, Crispy Beef Hash, Cheeseburger, Waterbar Salad and Sweet Potato Curry. Give mom the gift and the flavors of Cohn Restaurant Group with Blue Point Coastal Cuisine where Mom’s eat FREE, or spend the perfect day at Balboa Park with the entire family before heading to The Prado’s Champagne Buffet Brunch, which features a Dim Sum station, Whipped Potato Martini Bar and a Belgian Chocolate Fountain. Coasterra’s skyline view will give Mom a breathtaking and memorable experience while she sips on some bubbly and enjoys Coconut Crusted Mahi, Achiote Pork Loin, Chilaquiles, and so much more. 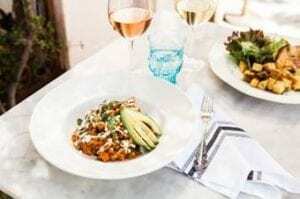 Additional standouts include mouthwatering three-course champagne menus at Escondido’s Vintana, Little Italy’s Indigo Grill, Hillcrest’s Bo–Beau Kitchen + Cache, and many more of Mom’s favorites. Searsucker San Diego is featuring their regular brunch menu with two specials, courtesy of Executive Chef Tony Torres. First is their Benedict “Oscar Style” made with Dungeness Crab and asparagus on grilled ciabatta topped with brown butter hollandaise. 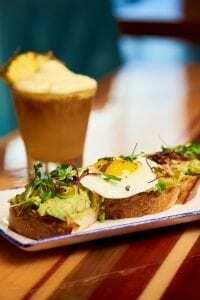 They will also be serving a Garden Toast with smashed avocado, radish, topped with a soft cooked egg, snap pea & carrot salad tossed in a preserved citrus vinaigrette. Don’t forget about their bottomless mimosas! Brought to life by Celebrity Chef Frankie “The Bull” Terzoli, this European-style fish market and dining destination is offering a Seafood Buffet extravaganza for your Mother’s Day brunch from 11:00 A.M. – 4:00 P.M. Celebrate your day in style with your choice of buffet-style plates of sustainably-sourced, fresh-caught seafood including smoked salmon frittata, lobster deviled eggs, glazed ham, steamed mussels, crab cake poached eggs, endless snow crab, smoked fish salad, octopus salad, an assortment of delicate crudo, and much more. Reservations required! $49.95 per person / $18.95 for children 12 and under. 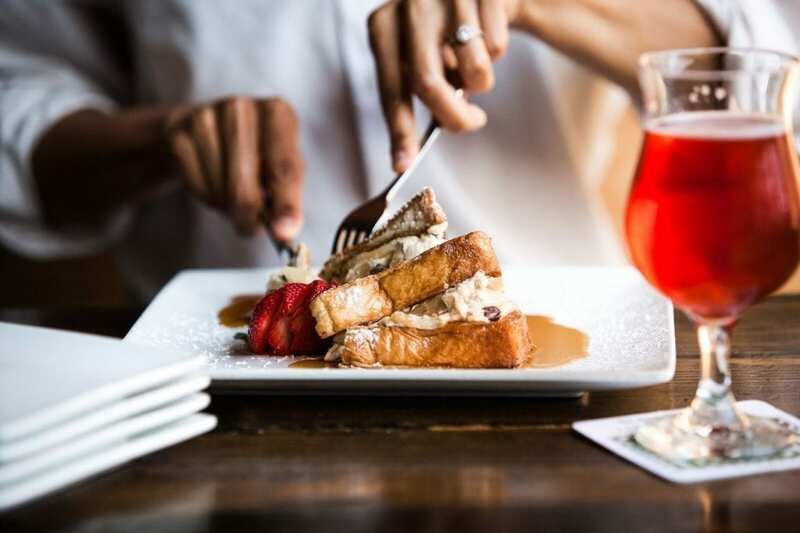 Feel free to bring the whole family, including your furry friends, to brunch at Bagby Beer Co. in Oceanside as it is both kid and dog friendly. The brewpub features a full menu, including several vegan options, beers and wine on tap, and a full cocktail list. Additionally, mom’s will get a special treat of a tiny potted succulent, with the chance to win a bigger surprise. Join Cucina enoteca Del Mar in their cozy and colorful Italian dining room for a delicious brunch celebration. Beginning at 10:30 a.m., families can pick their favorites from an Antipasti bar filled with fresh salads, pizzas, a carving station, egg station complete with frittatas, scrambles and omelets, alongside a decadent dessert station. Brunch buffet served from 10:30 a.m. to 2:30 p.m. $45 for adults, $18 for kids. Located in Carlsbad, this family friendly outdoor dining establishment will be celebrating mom with a brunch buffet for the whole gang. The full spread includes smoked brisket and prime rib, along with other brunch favorites, and will be available between 10:00 a.m. and 2:00 p.m. Mom can sip on bottomless mimosas or Frosé, a blend of Cupcake Rosé, diced strawberries, lemon and strawberry syrup, while socializing with friends and neighbors. Keep the kids entertained with games like giant Jenga and Connect 4, and even bring your dog along to enjoy the day! $50 buffet with mimosas, $30 for buffet only. Prefer to spend Mother’s Day Downtown? Head to Union Kitchen & Tap Gaslamp for their Gourmet Mother’s Day Brunch from 9 a.m. to 2 p.m., and treat mom to an exquisite Gourmet Buffet for only $35 per person, which will feature made-to-order omelets, a chocolate fountain and more, in addition to Bottomless Mimosas for $15 per person, Fresh-Squeezed Orange and Grapefruit Juice, Ketel One Craft Bloody Marys, and $20 Bottles of Rose all day! 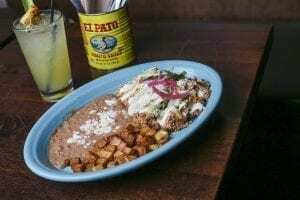 Fiesta over to South Park this Mother’s Day to treat your mom to brunch at this lively bar and eatery. Choose between entrée options like the Breakfast Carnitas Hash, a slow cooked golden-brown pork topped with a fried egg, pickled onions, crema, avo-serrano sauce, and served with beans, potatoes and corn tortillas. Del Sur will be offering specials on mimosas for moms! You can also sip on any of their brunch cocktails such as the Bloody Maria, a concoction of 100% agave tequila blanco, Ballast Point Spicy Bloody Mary mix and lime with a salt/tajin rim. Treat mom to something sweet at this urban and unexpected Japanese-inspired eatery. After your filling family lunch or dinner spent slurping up savory noodles, sizzling yakitori, and sipping on signature cocktails, each mom will receive a complementary dessert. Choose from the frosty Black Sesame or Green Tea ice cream, the strawberry, mango, and green tea Mochi Trio, or the Ice Cream Bao Sandwich with house made cinnamon-sugar whipped cream for an Asian twist on this mouthwatering dessert. All mothers who dine on Mother’s Day will receive a dining card for a complimentary Full Churrasco lunch, dinner or Sunday brunch on her next visit (redeemable May 14 – July 12; one complimentary card per mom while supplies last). Kids 6 and under dine free at Fogo, and children ages 7 – 12 are always half price.